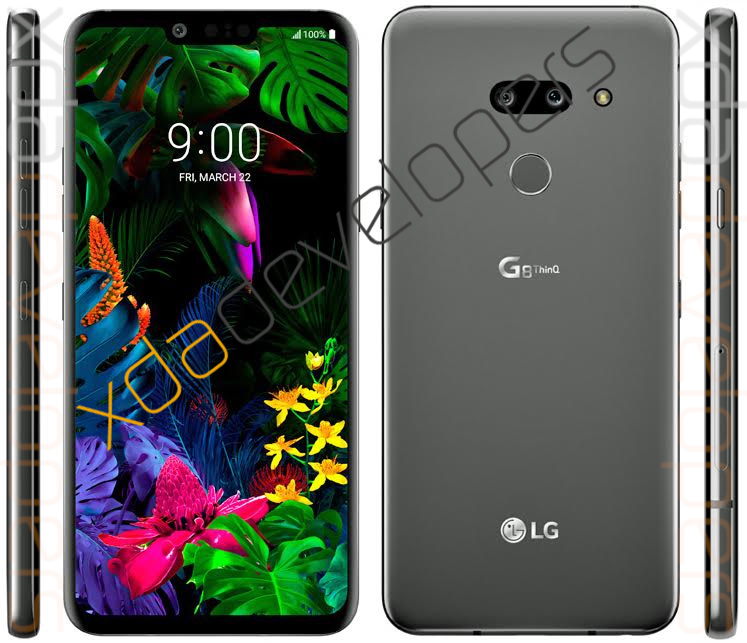 Home News LG G8 ThinQ Leaks..Again! It hasn’t been going quite well for LG lately. Decreasing profits due to underwhelming smartphone sales has left its smartphone division in a state of confusion. As a result LG’s past few devices aren’t what you can describe as “exciting”. Take for example LG’s latest flagship smartphone LG V40 ThinQ. The smartphone was unexciting to say the least. But the real question here is: Is LG planning something big with its next flagship smartphone “The LG G8 ThinQ” or is it still planning to play it safe? Fortunately for us, leaks provide a starting point to judge whether a smartphone will deliver on our expectations or not. LG G8 ThinQ has leaked quite a few times already. But this time around we aren’t just getting some CAD drawings based on rumored information, we are getting press renders. 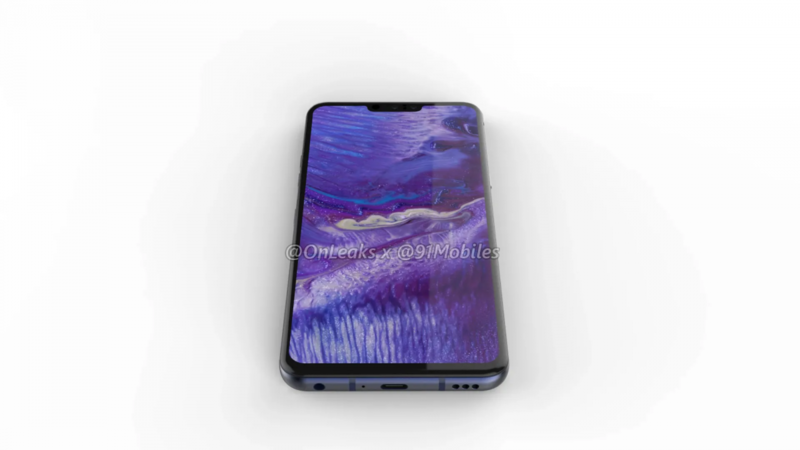 The leaked renders give us a pretty good look of the device. And so far the design looks a little 2018. As you can see, the front of the device looks like a strange hybrid between a Galaxy S9 and an LG V40 ThinQ, curved sides with a fairly big notch and asymmetrical sensor placement in the notch. On second thoughts, if you ask me i think this strange hybrid look works. Thin bezels, rounded corners, curved sides if nothing this phone will at-least be easy to hold. Moving on to the back of the phone we get to see that the similarities between the LG V40 ThinQ and the press renders above are more than apparent. Same horizontally aligned camera placement, same back mounted fingerprint scanner and even the same ugly “G8 ThinQ” branding. LG please change the branding! One interesting detail to not here is the material the back is made of. It looks to be an all metal back panel. If so, then it would ditch the glass back used by its predecessors. Aside from these details, you can expect all the shiny new internals that go in a flagship like the latest from Qualcomm, Waterproofing, Wireless Charging and such. Now lets wait and see what LG decides to include and what it decides to omit. We expect an announcement at MWC next month from LG regarding the LG G8 ThinQ. Lets hope LG does everything right this time around. What do you think about the press renders? Sound off in the comments in below! Next articleXiaomi Pocophone F1: How To Get Android P?